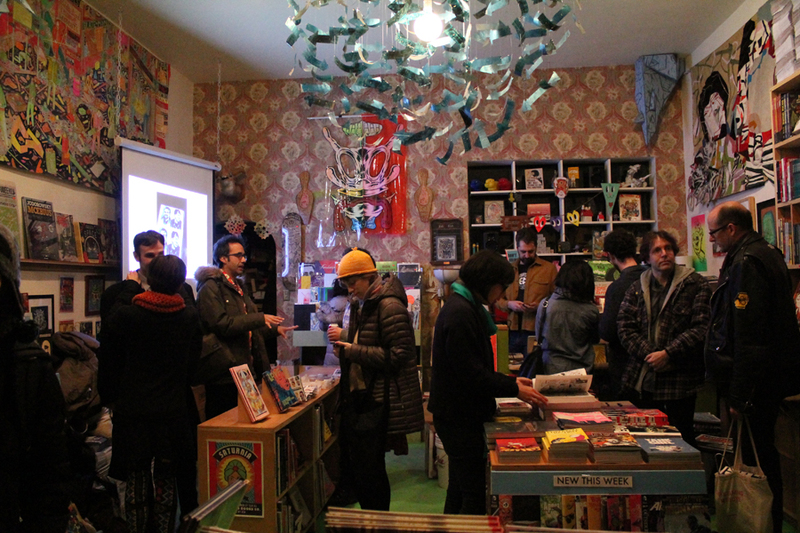 The Paper Rocket & Friends Birthday Release party was a hit! I couldn’t have asked for a better birthday. 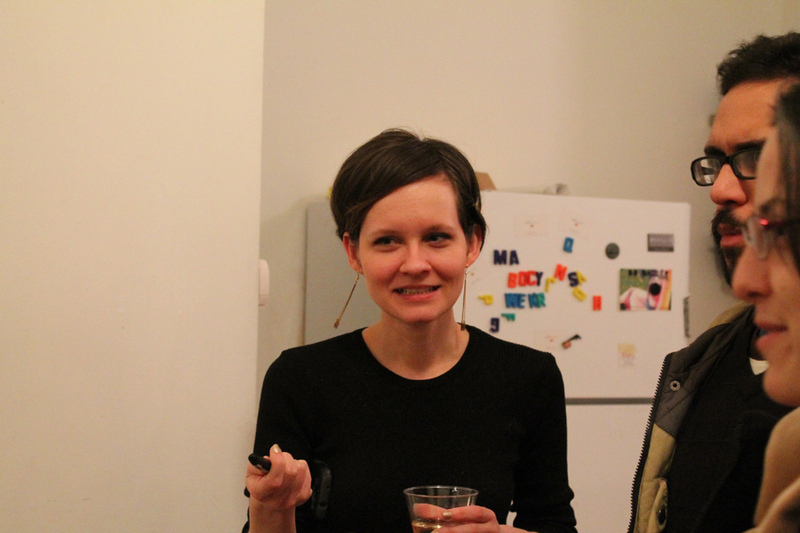 The room was filled with friends enjoying cheap beer and cake pops (as of late, my favorite things). 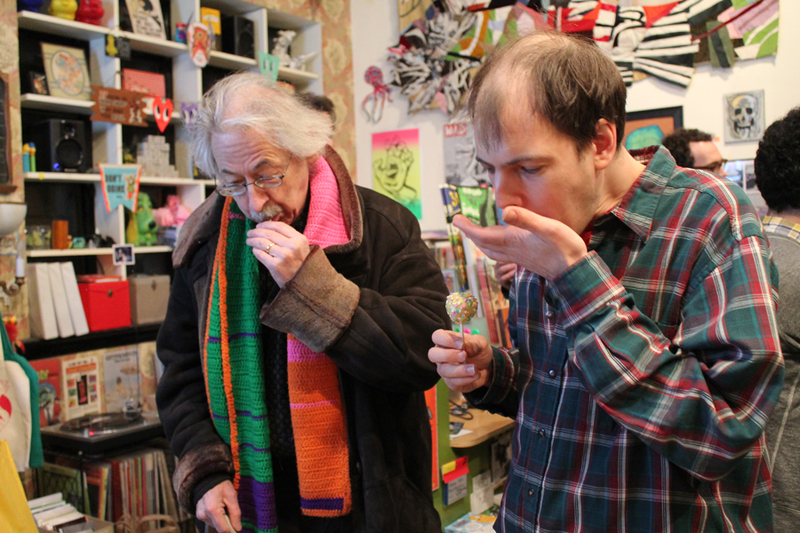 I gave a little presentation on the production process involved in Character (because, why not, I think it’s interesting) and Jeffrey Lewis showed us some illustrated music videos he’s been working on. 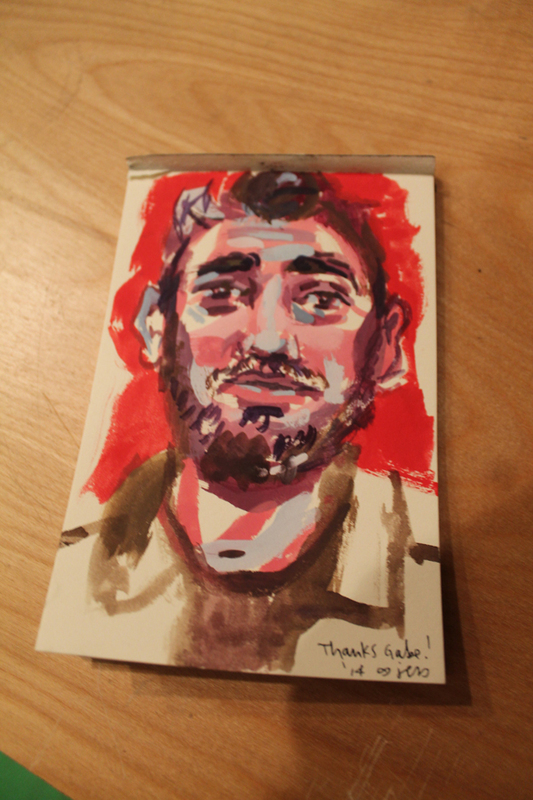 Jess did a painting demo, using Desert Island owner Gabe Fowler as her subject. Good times. I feel good about being 36. 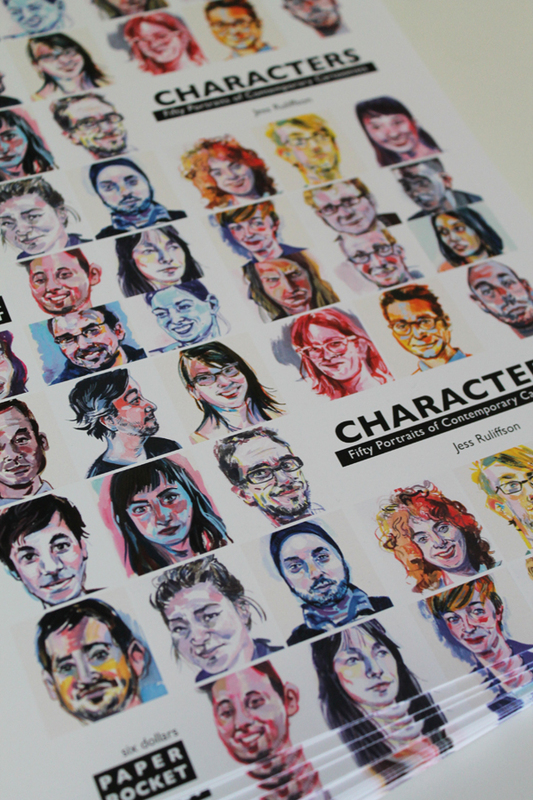 The Characters Kickstarter made its goal (in the first 24 hours, even!). I’m ever so grateful to all the folks who have supported it. I’ll be having a release party for Characters. A birthday release party! 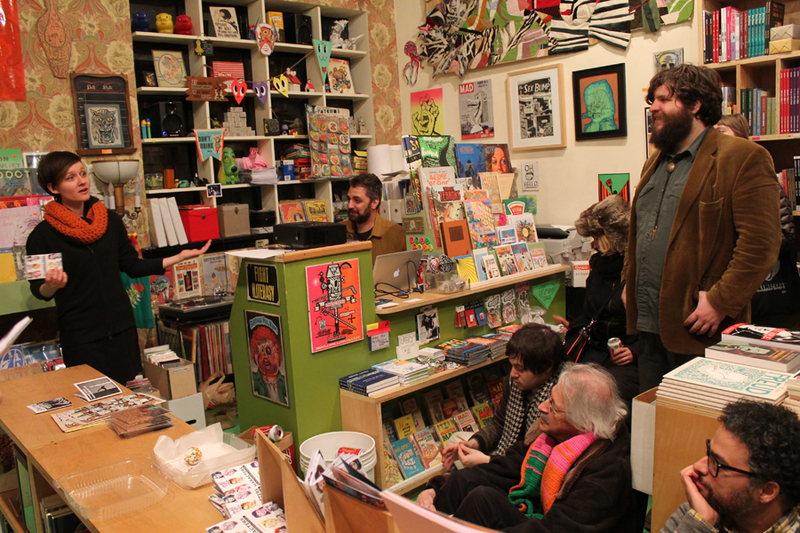 March 6 is the birthday of Robyn Chapman, and it’s the 1-year anniversary of her micro-press, Paper Rocket Minicomics. It’s also the release date of her latest publication, Characters by Jess Ruliffson. 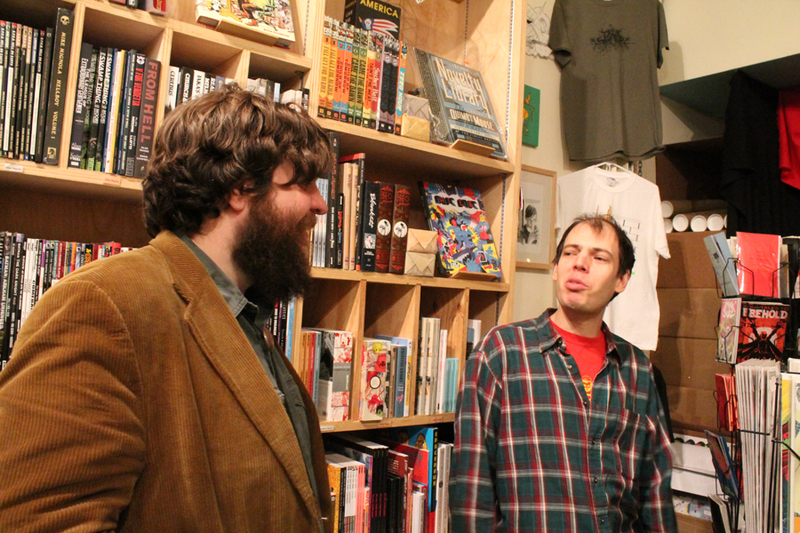 Jeffrey Lewis is also celebrating a release, a triple release in fact! 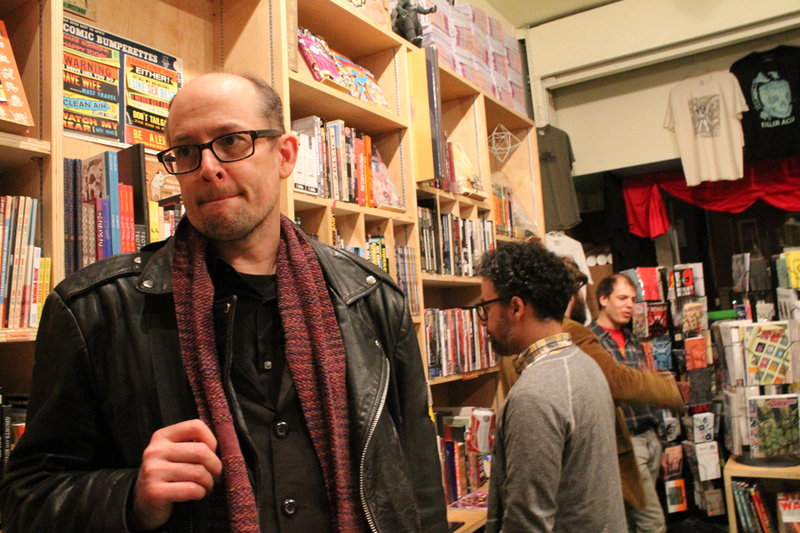 Jeff is debuting Fuff #9 (his latest comic), Jeffrey Lewis & The Jrams (his latest cd), and Sonnet Youth: Daydream Nation (his latest zine). 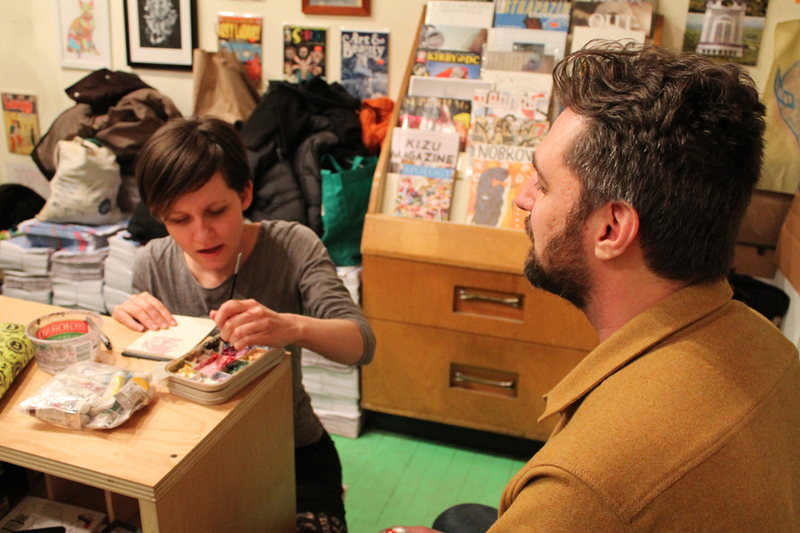 Jess will do a live portrait painting and Jeff will do a slideshow reading. There will be cupcakes. So far, February has been jam-packed. 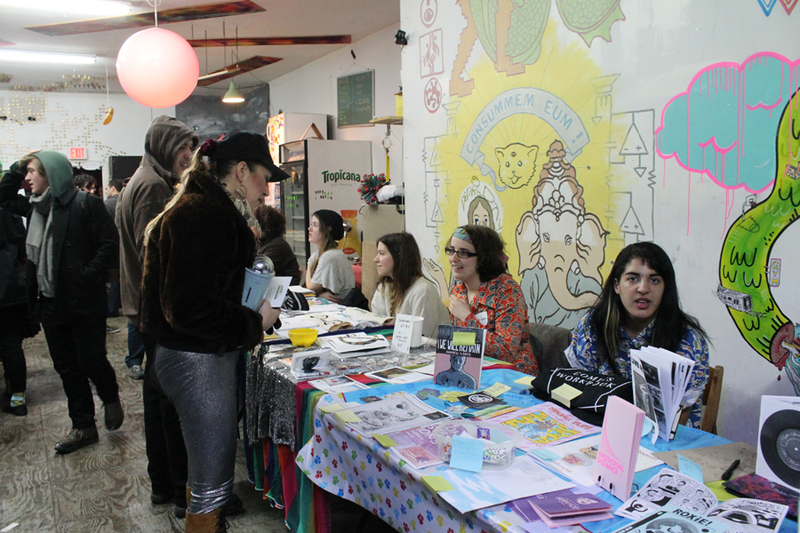 On Saturday I was at the first-ever Paper Jam Small Press Festival at the Silent Barn. This was a special show for me. 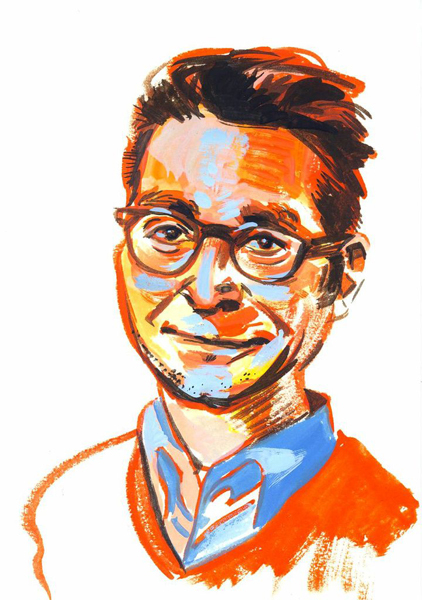 It’s just three subway stops away from home, and it’s run by my good buddy Robin Enrico. (Or, as he is sometimes called in my circles, Boy-Robin. I’m Girl-Robyn.) 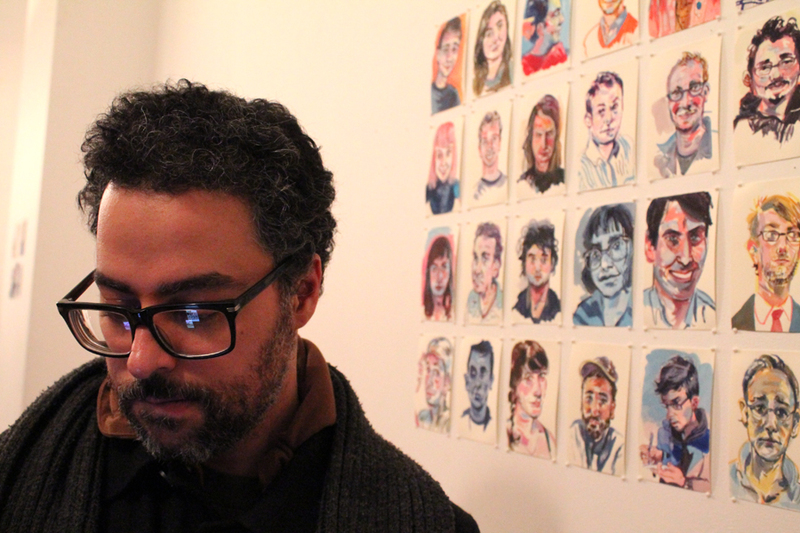 It’s a curated show, and, should you be honored with an invite, the tables are FREE. Admission is also free, though it was $7 to see the bands afterwards. The Silent Barn is such a crazy place. It’s a concert venue/hair salon/bar/photo booth/lots of other stuff probably. This was my first time at their new location, and it seems that they’ve a built a strong community there. The show had a great turnout, despite the bitter weather. I only snapped a couple of quick pictures, but here they are. 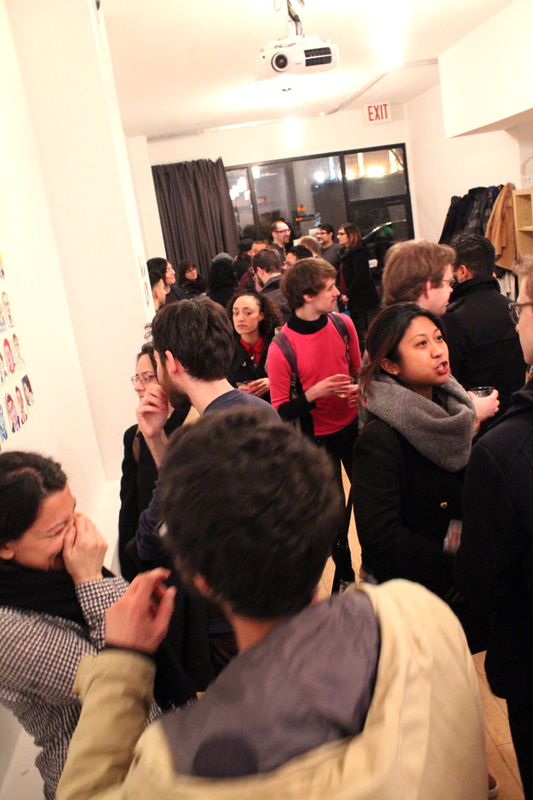 Characters, the exhibition, was quite a shindig! 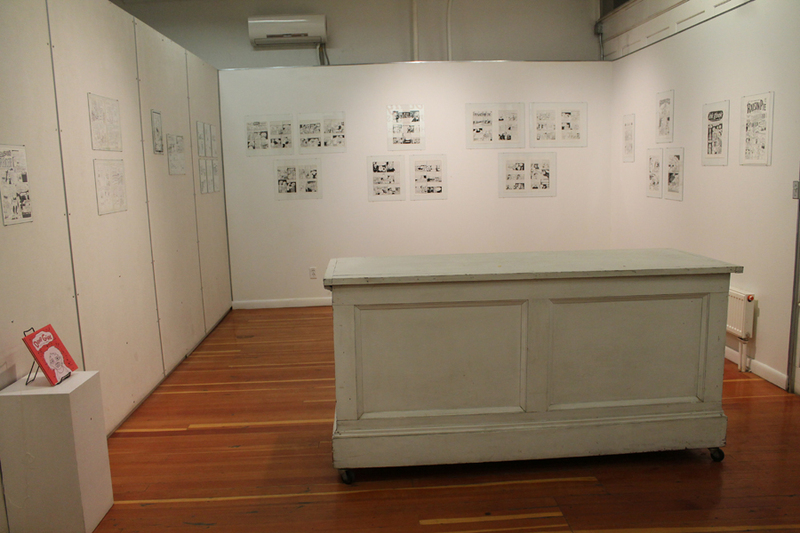 It didn’t take long for Launchpad to fill (mostly with cartoonists, many who had their portrait on wall). Characters, the book, had an enthusiastic launch! We sold the 23 copies I brought. Here are some photos. Look for the Kickstarter, which will arrive very soon. Tomorrow is the big day! 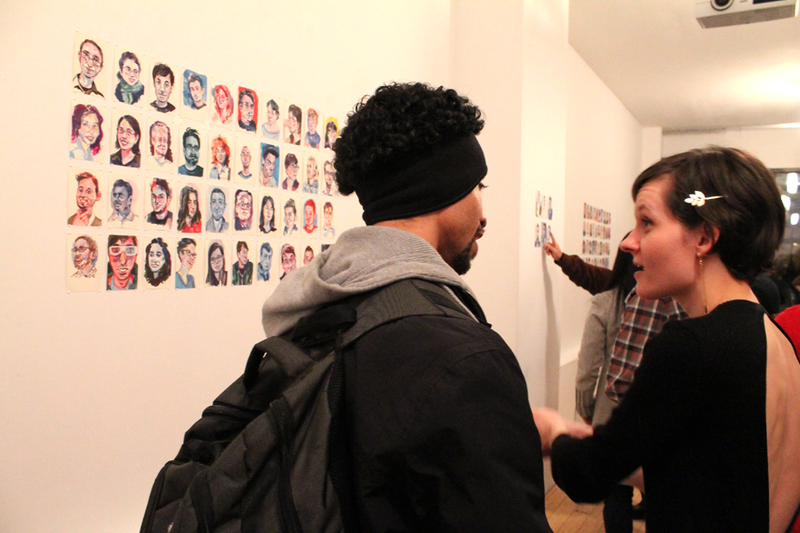 The ONLY day you can see the pop-up exhibition Characters: Portraits of Contemporary Cartoonists! 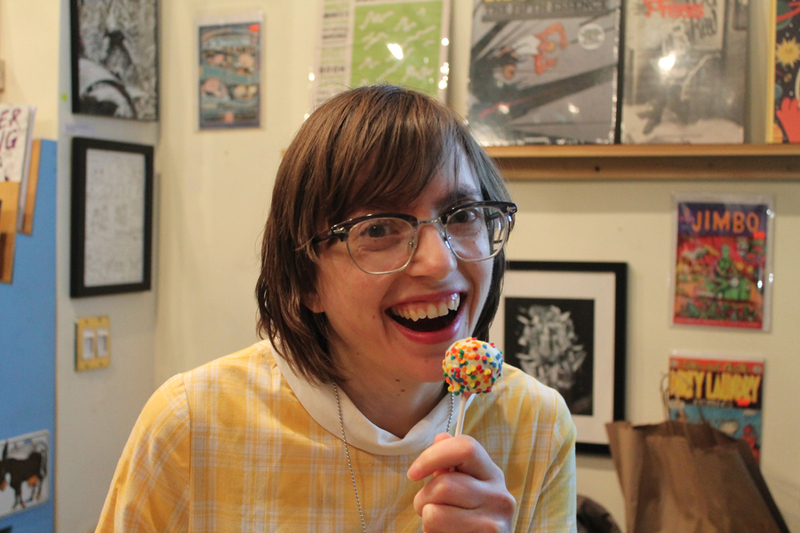 ONE NIGHT ONLY: Come see ONE HUNDRED portraits of your favorite contemporary cartoonists as rendered by local comics artist Jess Ruliffson. 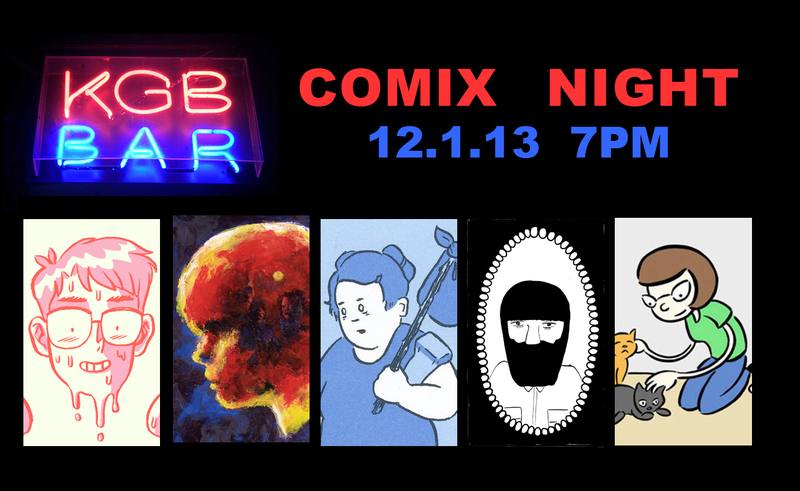 If you’re a cartoonist or comics related folk or enthusiast, the evening promises to be a great networking event outside of the confines of the usual post-convention stupor. 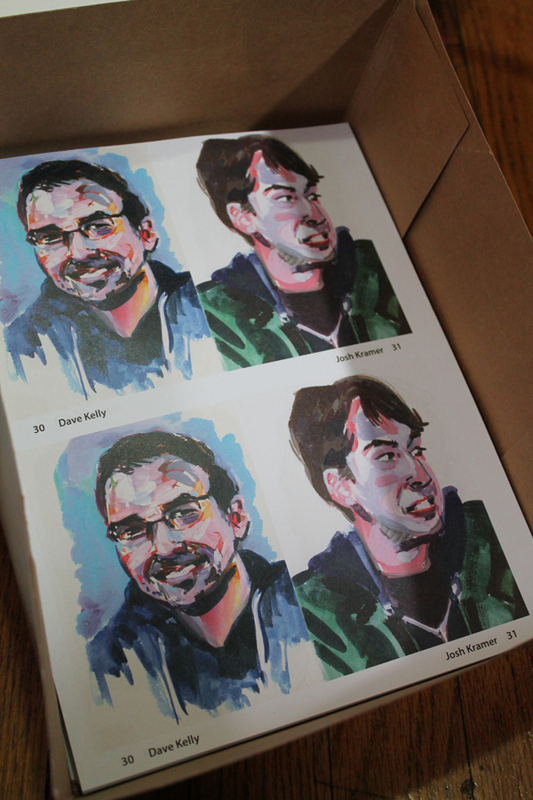 The book, Characters, arrived from the printer on Tuesday. I really am happy with the print quality. 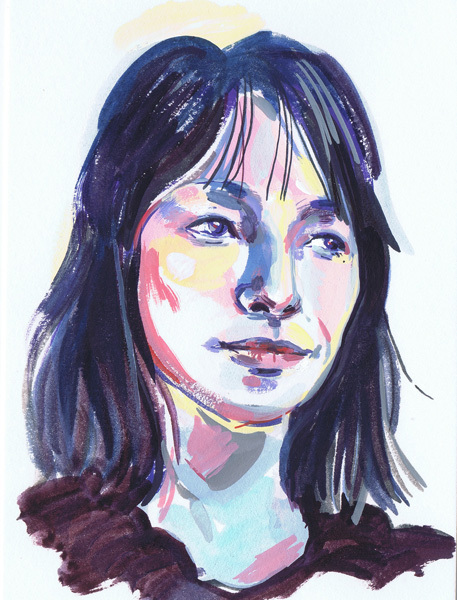 Jess’ colorful portraits print so beautifully! 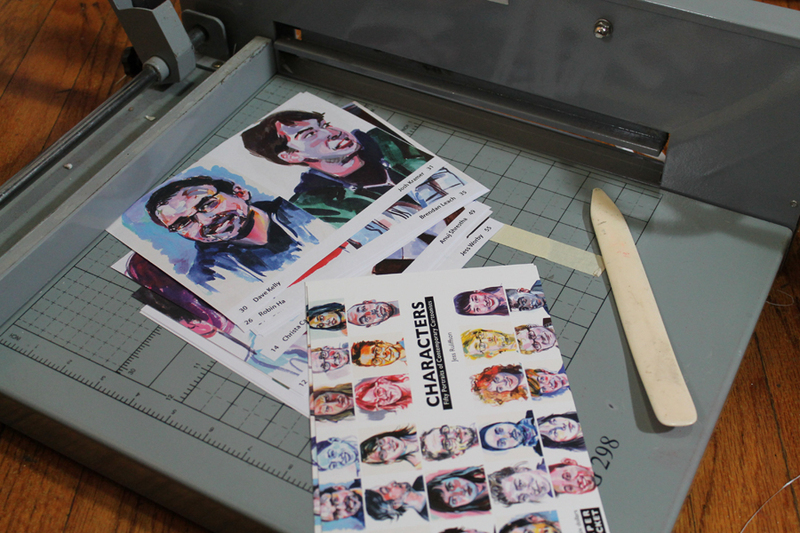 The book is full-bleed, printed 2-up, and thick enough to require a face trim. 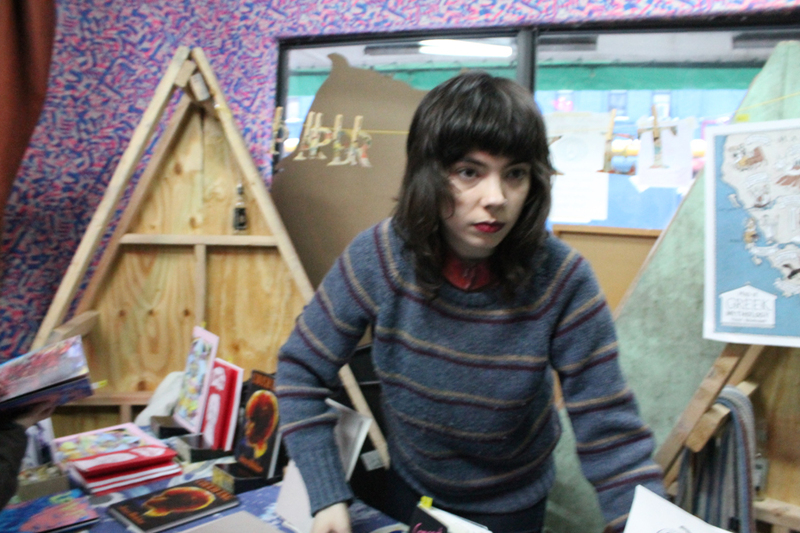 So, each book requires three cuts on my heavy-duty guillotine paper-cutter. Cutting and binding is slow going, but worth it! The cover stock is very thick (120 lb.) and semi-gloss (it’s called Coated Silk). It’s so thick it can’t fold crisply without being scored first. It looks great! 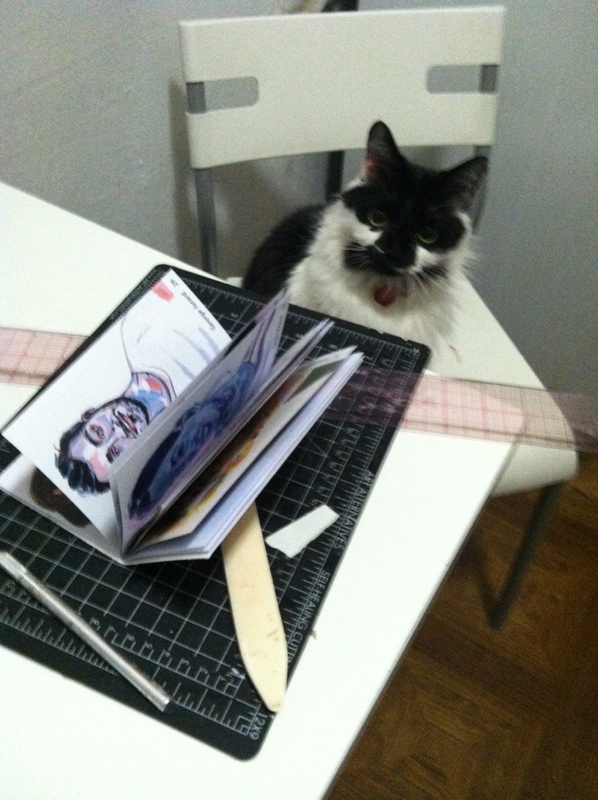 Paper Rocket’s quality control officer, Lulu Hussein Pacheco-Chapman (Lulu for short) has given Characters the thumbs up. 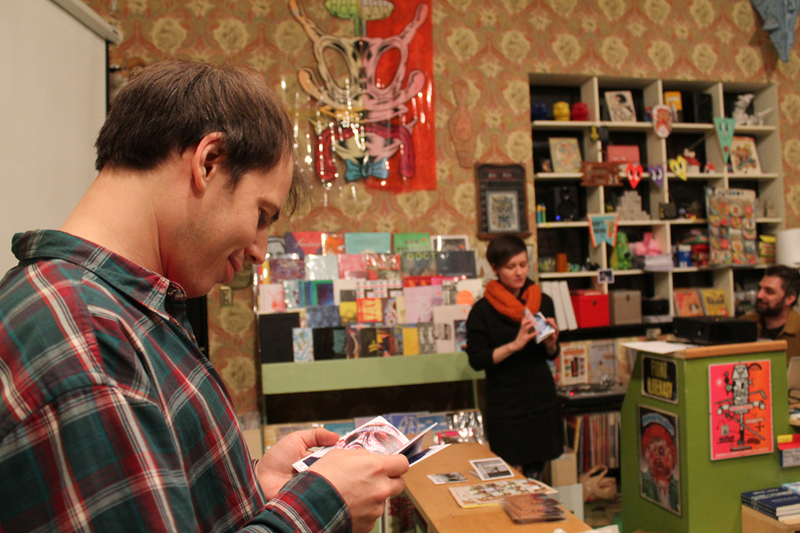 You can buy an advance copy at the show tomorrow, or at Paper Jam next week. After that, you can pre-order the book via Kickstarter. I’m happy to introduce the newest addition to the Paper Rocket family. 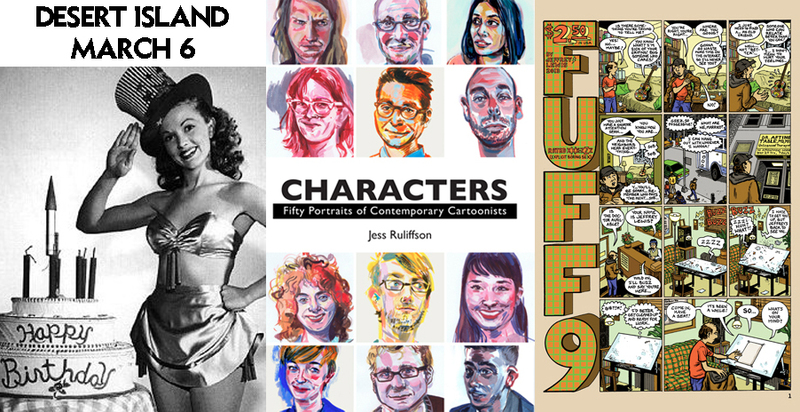 In February I will publish Characters: Fifty Portraits of Contemporary Cartoonists by Jess Ruliffson. 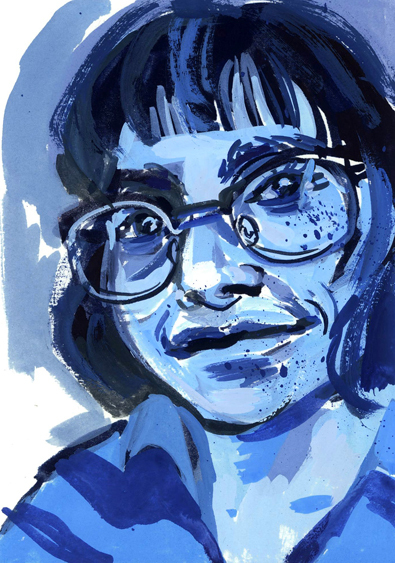 I first learned about Jess’ portrait project earlier this month, when gorgeous paintings of familiar cartoonists were popping up all over Facebook. I contacted her and learned that she would be exhibiting the paintings at a one-day show in just a month, on February first (and no, she had yet to be approached a publisher). 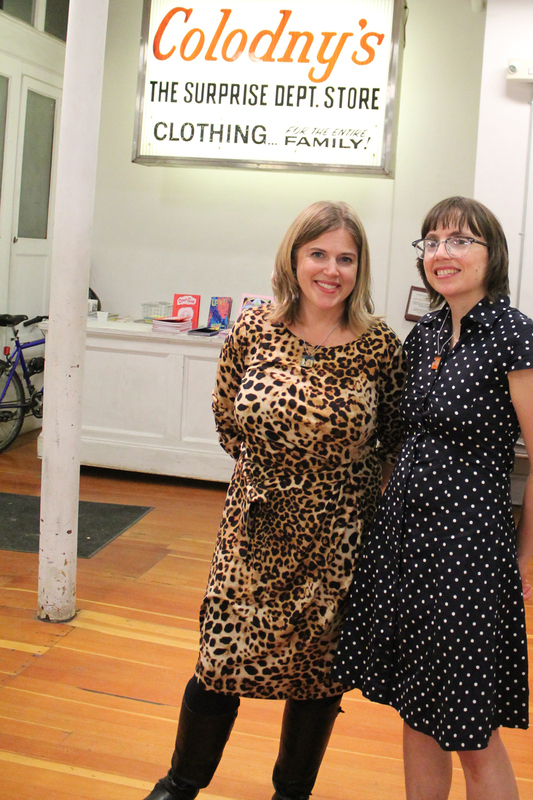 We worked out a publishing deal, and then the clock was ticking! 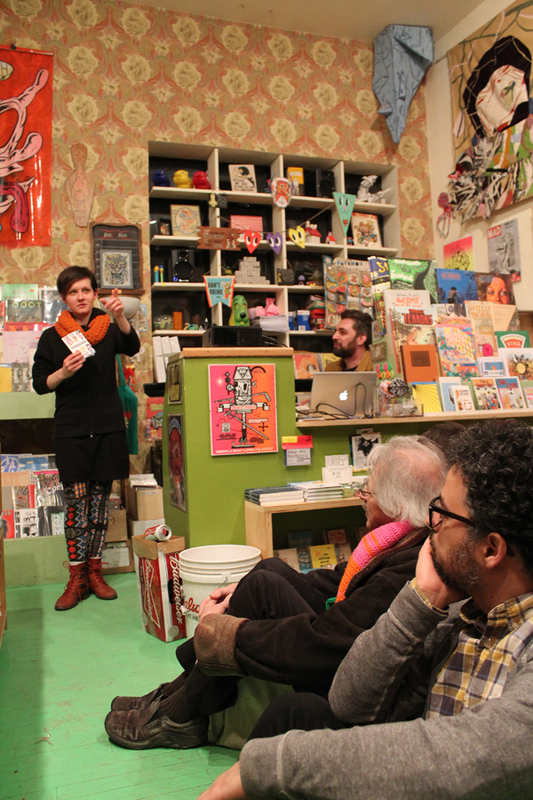 I had just a few weeks to publish the book in time for Jess’ show. We’ve both been hesitant to release any news on the book, in case we couldn’t make the deadline. But the book is complete and I’m confident it will be printed by February first. 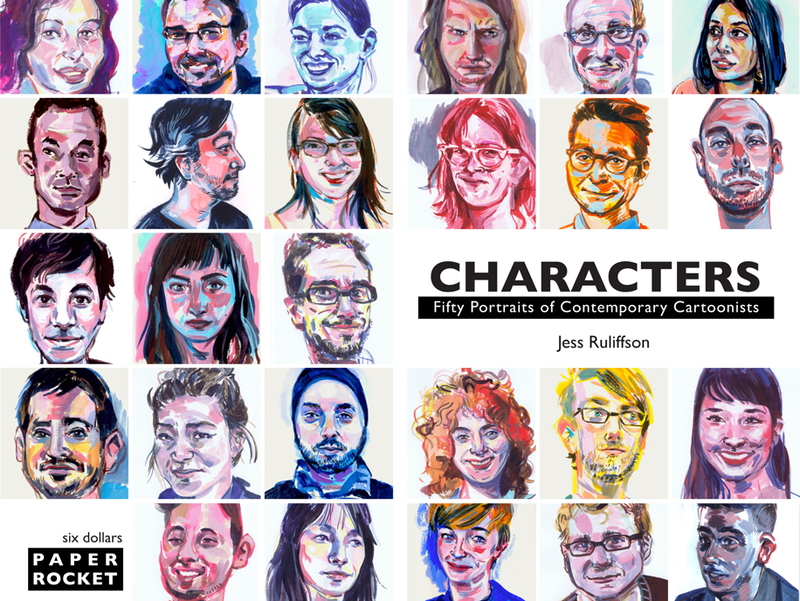 Characters collects fifty of the 100 portraits that will be featured in Characters: Portraits of Contemporary Cartoonists, a pop-up show at LaunchPad in Brooklyn. Check it out on Facebook (or here, if Facebook isn’t your thing). Because of the quick turn around on this book, we will have a limited initial release for Jess’ exhibition and the Brooklyn’s Paper Jam festival. We will follow that with Kickstarter pre-order campaign. The book will be fully available in mid-to-late February. Till then, tide yourself over with this preview! 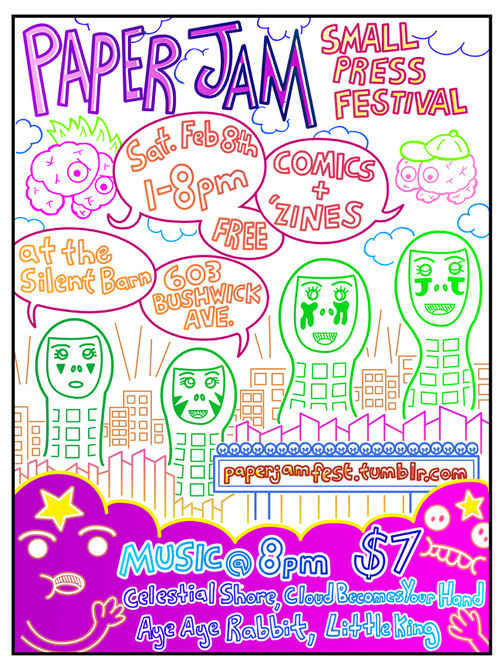 Before I launch into my CCS recap, I want to announce (loudly, boisterously) that Paper Rocket will be at Comic Arts Brooklyn this Saturday. 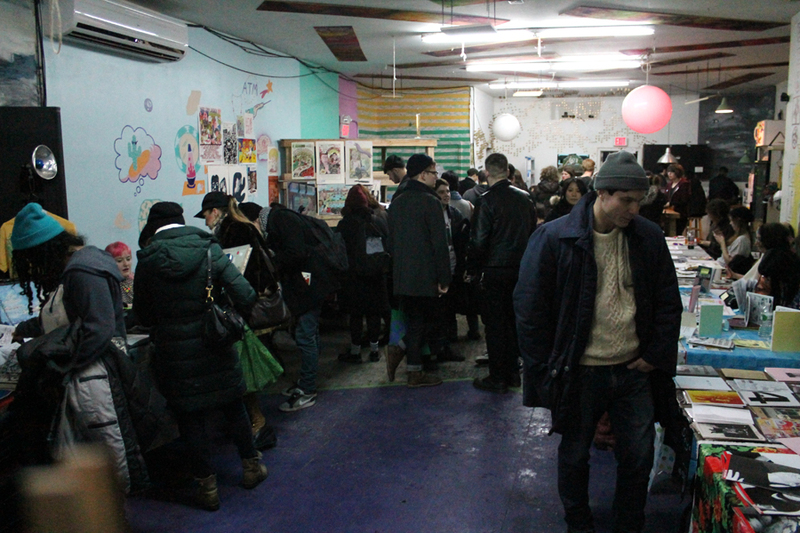 CAB is Brooklyn’s newest, most anticipated comics festival. 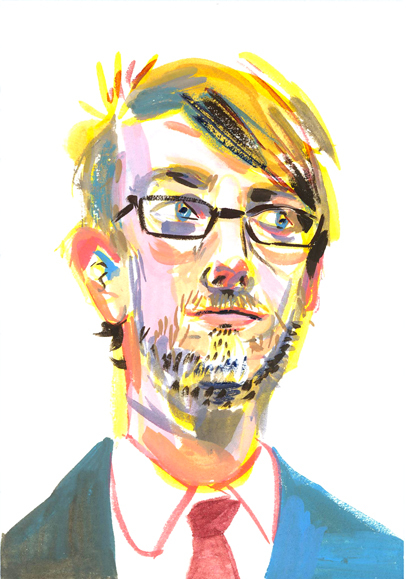 The show is managed by my boss, Gabe Fowler of Desert Island. I’m super excited! I had a sweet, but way too short (less than 24 hour!) 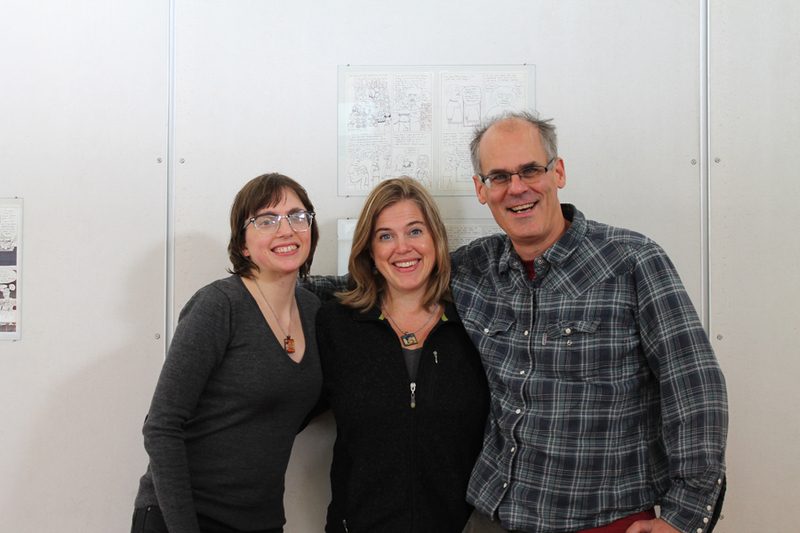 visit to The Center for Cartoon Studies last weekend. 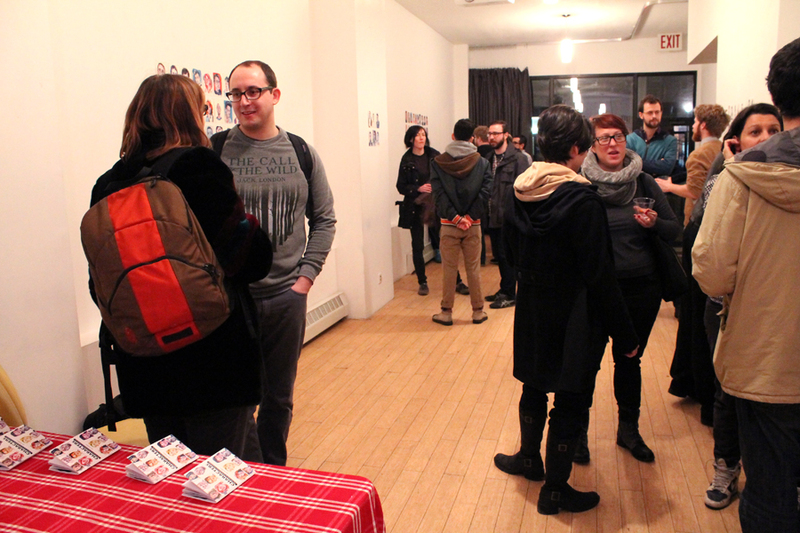 I was there to give a talk at the opening of Ariel Bordeaux’s new exhibition. 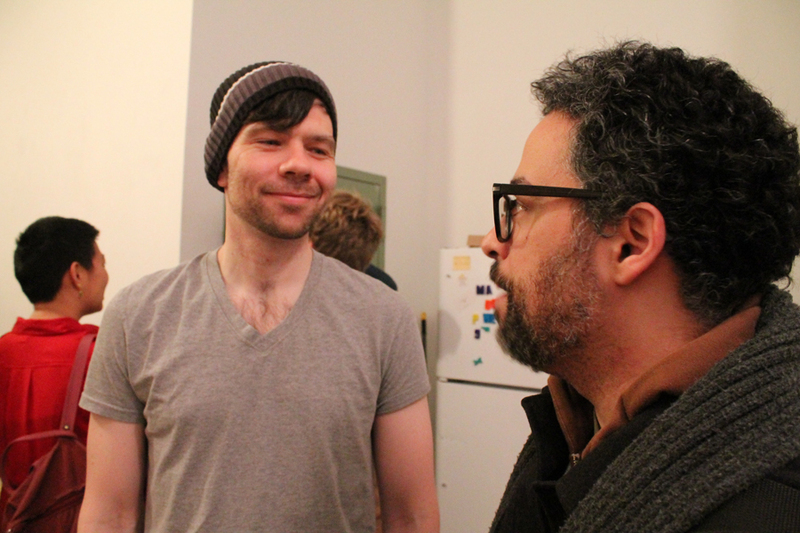 It was great to see Ariel again, and we also got some quality time with James Sturm. The show is great, and there’s a room full of Ariel’s Deep Girl pages. I talked briefly about Ariel’s Deep Girl years, and then I went into depth about the production details of The Complete Deep Girl. 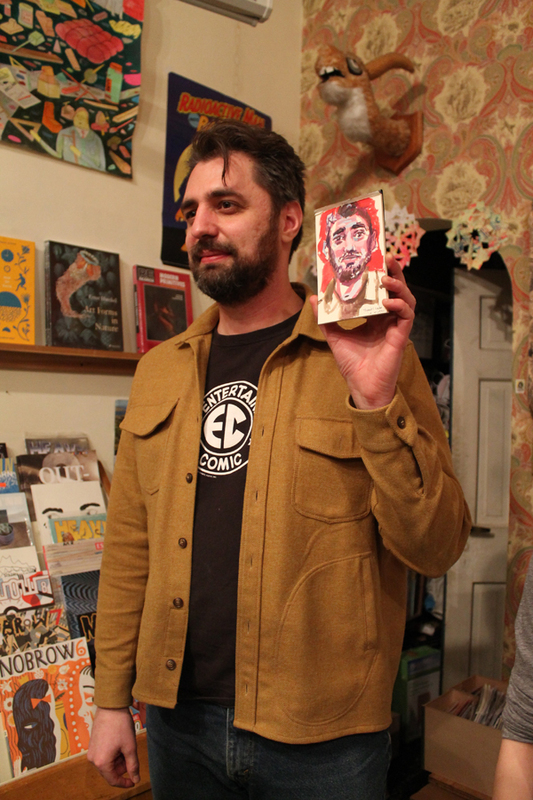 I also talked briefly about micropresses, a concept that the students are familiar with–they have one in town (Good Pals) and CCS grad Chuck Forsman runs one of the best micropresses around (Oily comics). Ariel followed my talk with a reading from her book. We had a smart and friendly audience. 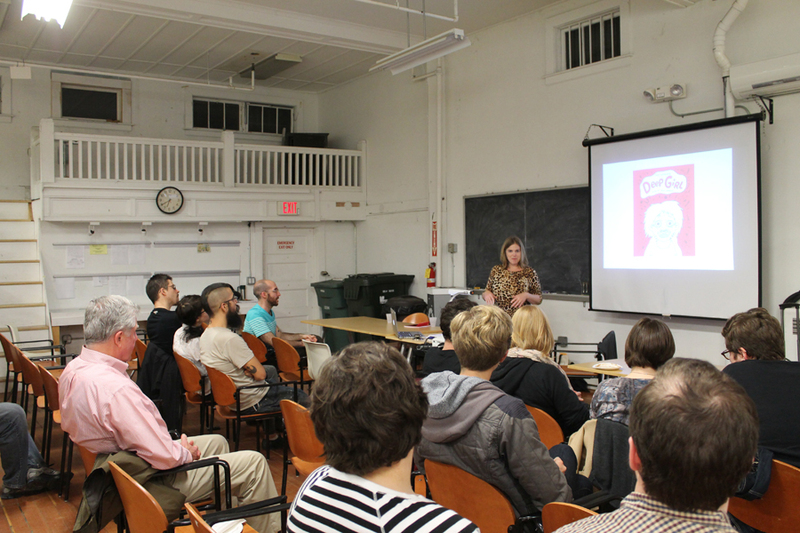 Lecturing for CCS students is always a treat. Ariel and I, looking fancy. Here’s hoping I can make it back to CCS soon.